– The moisture with this stuff is OFF da chain! Like, Qhemet level. 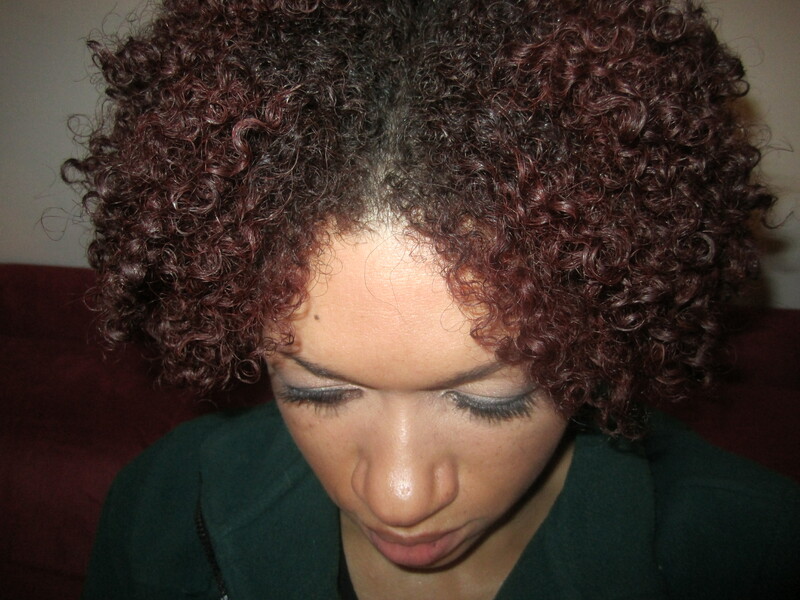 The oils also make it good for retaining moisture, which is KEY this winter, and the water gives your hair moisture. Win and win. – This stuff makes my hair SOFT. It’s awesome. – Softens hair for detangling and has a good amount of slip. – This was great for my braid out paired with my setting foam – my hair was shiny, smooth, and moisturized. – Because it’s so moisturizing, I do NOT recommend using this with many Curl Junkie products, because it is very easy to over condition your hair. I used it with CIAB and my hair was a bit poofy, which means that I have over conditioned. -Unfortunately, I can’t use this alone, because my frizz prone top was well, frizzy. I added some Burnt Sugar Pomade on top and that took care of the frizz though. Strangely, it melted into my hair pretty well, but when my hair was shorter it made it white. I was probably using too much. In the pics below – I did the following: Used the Dew as a LI, then added the BSP, then added this subpar gel (Mill Creek Biotin Gel, it’s cheap and basically like thickened water…meh) on top. Interestingly enough, as I layered product, my hair got smaller and smaller. By smaller, I don’t mean shrinkage, I mean by volume. It’s still pretty big though. Verdict? I really love this stuff. Moisturizing leave-ins without glycerin are my seksi weak spot, and this one really does the job. I definitely don’t mind that I can’t use it alone, because I can always add a bit of AV gel on top I’m sure (I didn’t try this b/c I am currently out of AV though). I’m glad I bought this instead of products with glycerin for Black Friday. Oyin, for the win! Hair Dew turned out to be a Hair Don’t for me. I am surprised because the reviews on it have been stellar and I love the scent. My hair stylist did warn me months ago that she’d heard it was drying. And boy was she right. My hair which usually takes 4-6 hours to air dry suddenly dried out in sections within 20 mintues. It looked like straw. I tried HD with various gels and there wasn’t a decent hair day to be had. There wasn’t any noticeable or impressive softness or slip. It also failed as a refresher, just sitting on my hair instead of adding actual moisture. It felt like I had put body lotion on my hair. I really wanted it to work so I’d have a non-glycerin LI alternative. Maybe I got a bad batch? Okay, I am so late. But, I bought this last month and I love it. It makes my hair so moist and soft. I’m so glad I tried it after searching for a great moisturizer for my transitioning hair (I’m 4a with 3c sprinkled in). Thanks for the review! By the way, I just restocked with the 16 oz.!!!! Glad you like it! I definitely keep this one in stock. It’s delicious! ok you’ve sold me on this stuff! I just ordered it because you said it can replace Qhemet BRBC(which I absolutely love!). I was about to buy Qhemet BRBC but when I went on the website it was sold out 😦 . Thank God for your review on hair dew because I was lost on what would be my moisturizer. Hey Elle, I placed my first order with Oyin a few weeks ago based on your YT vid on your black friday haul and I finally got my items a week ago and have been in heaven!! I ordered the hair dew, burnt sugar pomade, and whipped pudding and while I havent tried the pomade yet, I LOVE. LOVE, LOVE the other two!!! The hair dew smells so good, makes my hair so nice & fluffy, defines my curls, and makes detangling a breeze! I have been using the whipped pudding for my skin, havent tried it on my hair yet, and my skin LOVES this stuff, it absorbs easily, is not greasy or heavy, and smells like coca powder, yummm! Awesome, I’m glad you like it! I also love the Whipped Pudding. They are pretty different – the Smoothing Lotion is more like a conditioner while the Hair Dew is like a lotion…the SL is lighter and works great with the Curl Queen, but the HD can get over conditioned with a moisturizing styler. Also, the SL seems to have more water in it, and has glycerin. Thanks for the awesome review AS ALWAYS! Your hair has grown out beautifully and that color is awesome. I love it!!! I’ve swithched from using the knot today leave-in to using yes to cucumbers Daily Makeover Conditioner as my leave-in and it works great. I’ve got to try that pomade trick on wet hair because the top of my hair is frizz city when I wear my twist out. Switching back to OHM Body’s Sweet Hair Pudding has helped tremendously though. Love the moisture in that stuff. Love ya girlie and HAPPY HOLIDAYS! You definitely need to try the Hair Dew – I seriously LOVE it. It’s like the mix of oils and water is perfect for me. It also doesn’t hurt that it smells like cookies. If you get it (and when you order, get some Burnt Sugar Pomade!! ), please let me know how you think it compares to Qhemet…I’ve been considering letting my boo, BRBC go…because I really think they are similar and the Dew smells better. Buuuut, I can also buy Qhemet on the ground, so I probably will still get it, lol. Strangely, my hair hasn’t really been loving my Knot Today, but loving KCCC when I use it with a different LI. 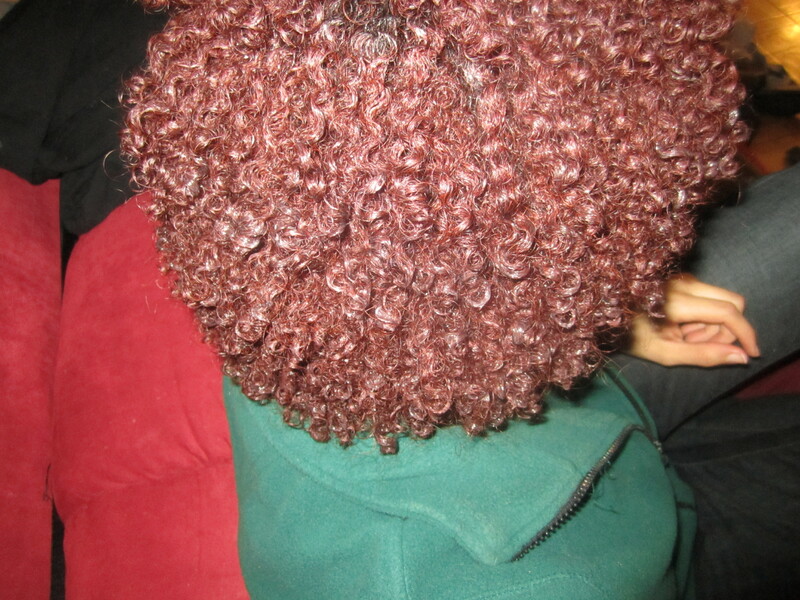 I’m going to add jojoba oil to the rest of my condish. I love YestoCuc too, but it’s always gone at my Target – and they only have the Carrot one left. Meh. I am going to try my Ohm tomorrow and see if I get the same results I got with my 8oz, and I’ll take pics of the two jars. Love ya back and Happy Holidays to you too! Come back to the board, it’s getting boring, lol!! I also have a strained relationship with glycerin – especially in the winter and I was ecstatic to find this product. So far it has been great as a refresher but I’m still experimenting with what other products I will use it with. I haven’t had to opportunity to use it as a leave in as yet but I’m sure it will work just fine. Thanks for the review. I live in Baltimore and plan to pick this up from the Oyin store on Saturday!!! I will use it as a leave-in for a two strand twist set. I just applied pomade on my wet hair on the top to decrease frizz. YAAY!!!! I’m in I going over to order…order…order. I am currently looking for a new great leave in for me and my daughters hair. The leave I’m using is not bad ( knot today, with the aloe &oils) but I’m getting bored with it…its just ok. And my hair hates glycerin, so the fact that its glycerin free makes my happy. Your hair and hair coloring is fabulous ! Thanks for another great review 🙂 Take care. Thank you! I hope you like it, it’s good stuff! I have been waiting for a review! Thank you! On the list it goes! Thanks for the review! I ordered this on Black Friday – cant wait to get my package! I’m such a junky!! I don’t need ANYTHING but just placed an order for this & some samples. I need support group meetings!